In all honesty, how well do you fact-check your content? Beyond proofreading for spelling and grammar errors, do you check the veracity of every claim in an article before publishing it? Chances are you probably don’t. 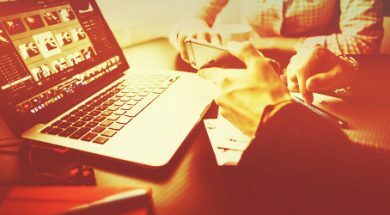 A majority of content marketers never take the time to fact-check their posts – and many don’t think it’s even feasible given their strict time and budget limitations. While that risky behavior may have been tolerated, the arrival of fake news should put an end to it. Now that readers are more likely to question the accuracy of everything they read, content publishers of all types are taking measures to protect their credibility in this “post-truth” era. In this post, I’ll provide a basic guide for how to get your facts straight. “But if we’re not reporting the news, why do we have to fact-check,” you ask. First reason: Costly errors can ruin your reputation. Just as it takes only one mistake to erase a history of good deeds, a single but egregious error can cost your site’s credibility. Yes, it’s Whoopi Goldberg, not Oprah – two women misidentified in 144 characters. Third reason: You have a responsibility to your audience to fact-check everything. Just like readers make decisions based on media-supplied information, they also make decisions based on advice you give in your content. Fourth reason: While a few readers may catch your mistake, others won’t and will share the misinformation with others. The latter scenario makes you no better than those who propagate fake news. It sounds true, right? Well, it’s not. Although the figure has been cited by several reputable publications, The Wall Street Journal concludes it’s not backed by sound scientific research. Almost everyone in the visual marketing field has heard or quoted this one. But again, it’s unsubstantiated. 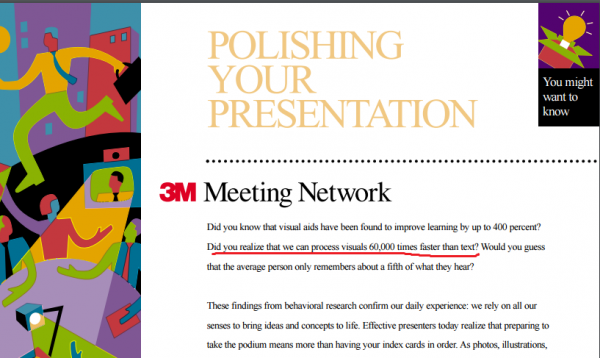 It turns out that the original source was a 3M brochure with no reference cited. And just like that, these two unsubstantiated claims became rule-of-thumb proof often quoted in marketing even though no one knows where they originated. Mistakes can lead to irritated clients, sources, or readers who will complain by email, call, or social media. Or worse, no one will recognize your mistake and its impact will be felt – webinar participants don’t show up because they thought it was tomorrow, your call to action is never answered because the link was incorrect, or your audience shares the content and spreads the misinformation further. 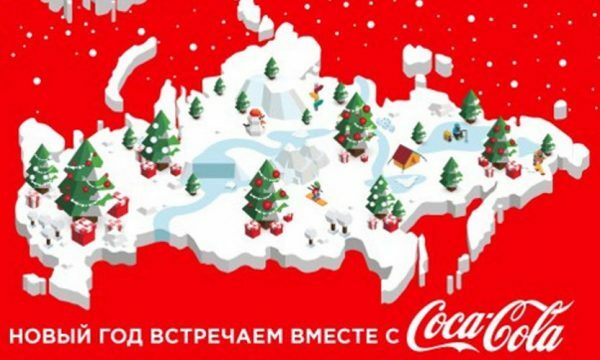 Mistakes can even lead to bigger reactions – lawsuits or boycotts, such as the reaction in Ukraine after Coca-Cola published a map of Russia that included the disputed territory of Crimea. 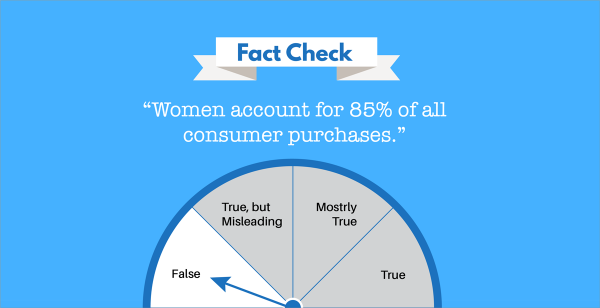 How Well Do You Fact-Check Your Content? To make things easier for you, I’ve created the following accuracy checklist, which you can download to use. Based on verification guidelines followed by journalists, this truth-seeking cheat sheet has been amended to include common mistakes made by marketers. Verify and spell-check brand names, personal names, names of institutions and job titles – and ensure that they’re spelled consistently throughout the content. Verify days, dates, and times. If you’re including both a day of the week and a date, double check the calendar. Verify and spell-check the names of cities, states, capitals, countries, regions, and other geographical areas. Make sure your verifying sources are up to date. Send an email to the address (or at least check to see that it has correct domain extension) and call phone numbers to make sure they are correct. Seek the primary source even if someone else is quoted saying it. Make sure those primary sources are considered reputable within your industry. Don’t cite sources, such as Wikipedia, which can be edited by the public. Verify links taking readers to the attributing source. TIP: Don’t forget to check the people you quote or attribute information to. They may provide a title, but check that it’s accurate on the company website or verify that they are employed by that company in their LinkedIn profile or company site. In addition to checking where the stats originated and ensuring that the figures are the latest available, do the math. Check the veracity of claims using superlatives such as “the best,” “the top,” “the most,” “the first,” etc. If the statement cannot be supported with evidence, provide clear attribution. If neither can be done, delete the claim. Make sure original quotes are in proper context so original meaning is not misconstrued. When using a third-party site for a quote, ensure that you attribute it to the original source. Ask: “How do you know that?” Provide evidence in the form of scientific research or studies. Avoid generalizations based on anecdotes, circumstantial evidence, or personal opinion. Compare various sources. Provide various points of view, not just your own. If you’re unfamiliar with a word or phrase – or think others would be – verify their meaning by looking them up in the dictionary and reputable industry resources. These five free tools can help make your fact-checking easier and more efficient. You may want to bookmark them. Snopes.com: Not sure if it’s just a rumor or fact? This myth-busting site can help you sniff out fake news and urban legends. 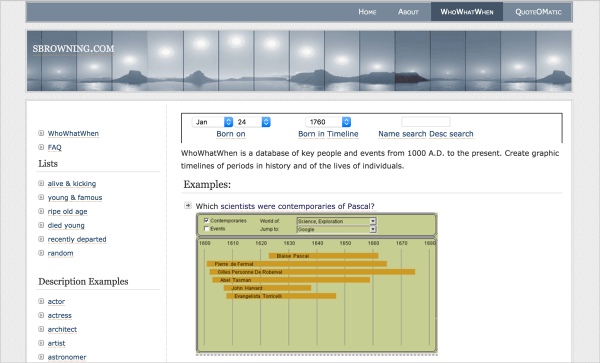 WhoWhatWhen: To verify who did what and when, this site provides an easy-to-look-up database of events, from 1,000 A.D. to the present. 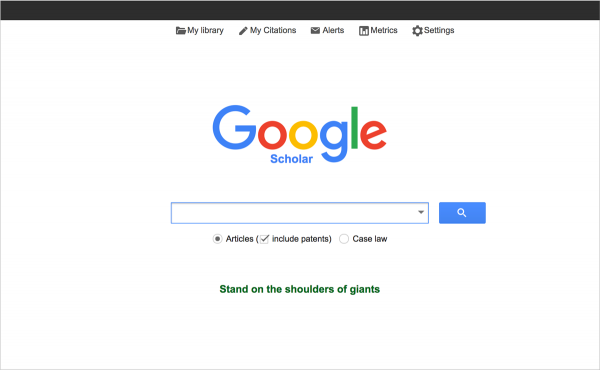 Google Scholar: This tool allows you to sift through academic literature to track down the original source for any statistic or claim. 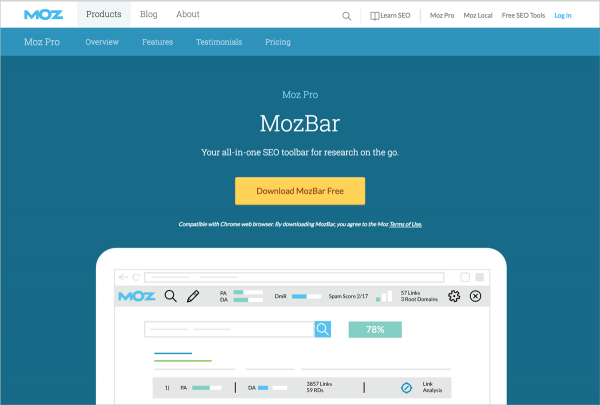 MozBar: This plug-in allows you to evaluate a site’s credibility as it shows the domain authority and backlink history. 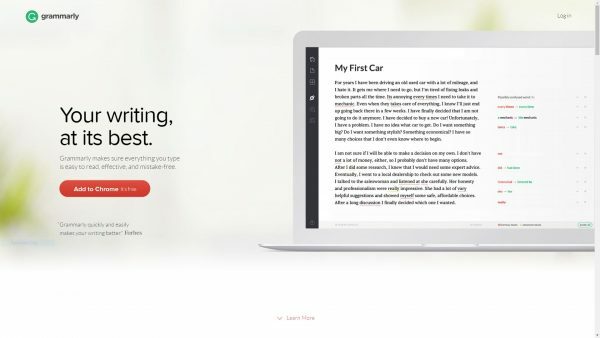 Grammarly: If you want a little extra help to catch spelling, punctuation, or grammar mistakes, this free plug-in comes in handy. It also provides a plagiarism detector for those who are willing to pay for a premium plan. And last, but certainly not least, your readers are one of your greatest assets when it comes to combatting inaccuracies. Constructive comments and resulting corrections are essential to the collaborative nature of the web and can serve as a self-correcting mechanism. What did I miss or didn’t get quite right? Let us know in the comments section. Get the latest, fact-checked trends and tips in content marketing with CMI’s free daily or weekly digest newsletter. Subscribe today. Nayomi Chibana is a journalist and writer for Visme’s Visual Learning Center. She has an M.A. in Journalism and Media from the University of Hamburg in Germany and was an editor of a leading Latin American political investigative magazine for several years. She has a passion for researching trends in interactive longform media. Follow her on Twitter @NChibana.